Crabpot Books on the High Street at Cley-next-the Sea, NR25 7RN sells second hand and antiquarian books with a specialist interest in bird books. 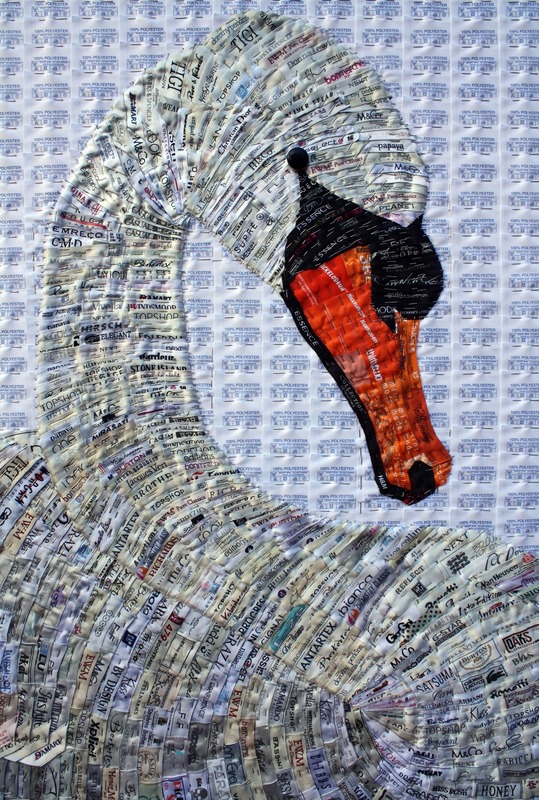 In response to this site artist Joy Pitts has collected 5000 used clothes labels and assembled them in the image of a ‘Mute Swan’. This particular collection of second hand labels are a record of garments that were discarded by the community during 2011; the collection pays reference to the cycle of image renewal and transformation that is associated with the swan. ‘Mute Swan’ is inspired by the book ‘The Ugly Duckling’ by author Hans Christian Andersen; a story of transformation mirroring Andersen’s own life. Visit www.salthouseart.co.uk for more information about the exhibition.